Planning a wedding for yourself or your child? Wedding venues have been a growing trend for several years now. Pick up any bridal magazine and you will find new venues popping up all over the place. As a real estate broker, helping a client find the perfect wedding venue or property is key. There are many creative opportunities out there whether you are looking for an urban feel, country feel or even something very unusual like an old theatre! The ideas are endless. Size of the building. Knowing how many guests can fit into a building is very important. Venues that are too small often don't get booked as often. Parking needs to be adequate. If inside the city limits, you will need to obtain the proper permitting for an event venue. Noise ordinances will need to be addressed. What is around the venue site? Brides and grooms don't want lots of noisy distractions like a train, busy roadway or sports complex. Know your needs, size, desired location, budget, style. Stay current with what the wedding trends are now. Plan for something that can stay timeless. Be open minded when looking. What may appear to be out of the question could hold many possibilities. My husband and I have a daughter getting married next year. Searching out the perfect venue for her has been a lesson indeed. Paying attention to the details that are desired has been important. We ourselves have now invested in a tract of land that we plan to build a wedding venue on in the near future. We have found most of these venues are booked at least a year out! Incredible. 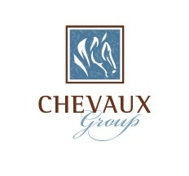 Call me today at CHEVAUX Group, PLLC to assist you in finding the perfect wedding venue or land location. What Does the List Price to Sales Price Ratio Mean? PENDING HOME SALES ~ THE WOODLANDS, TX ~ INVENTORY GOING DOWN! SELLING A FARM & RANCH IN TEXAS? HOME FOR SALE IN SPRING, TEXAS ~ 4 BEDROOMS + GAMEROOM!